Samsung recently launched their new Android tablet, the Samsung Galaxy Note 8.0, when the device was announced we were told it would be available in white and now a photo has been leaked of a new charcoal black version of the Samsung Galaxy Note 8.0. 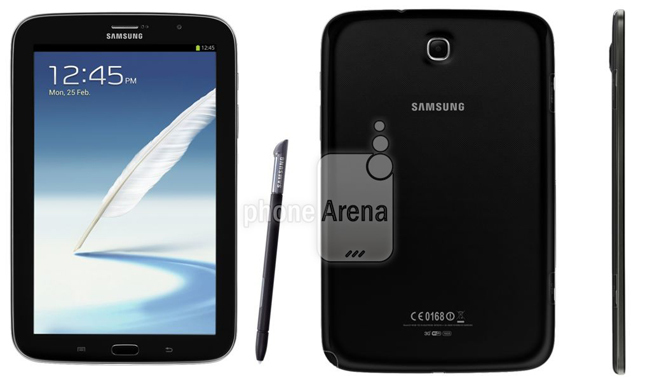 The Samsung Galaxy Note 8.0 features an 8 inch WXGA display with a resolution of 1280 x 800 pixels and it will come with Android 4.1.2 Jelly Bean, it also features Samsung’s S-Pen stylus. The Samsung Galaxy Note 8.0 comes with dual cameras with a front facing 1.3 megapixel camera for video chat and a rear facing 5 megapixel camera for photos and video, plus 802.11 a/b/g/n WiFi, WiFi Direct, Bluetooth 4.0 and USB 2.0. Other specifications on the Samsung Galaxy Note 8.0 include a 1.9GHz quad core A9 processor and 2GB of RAM, it will be available with a choice of either 16GB or 32GB of built in storage and it also features a microSD card slot which can take up to 64GB cards. There are no details as yet on when the charcoal black version of the Samsung Galaxy Note 8.0 will be available, as soon as we get some more information we will let you guys know.